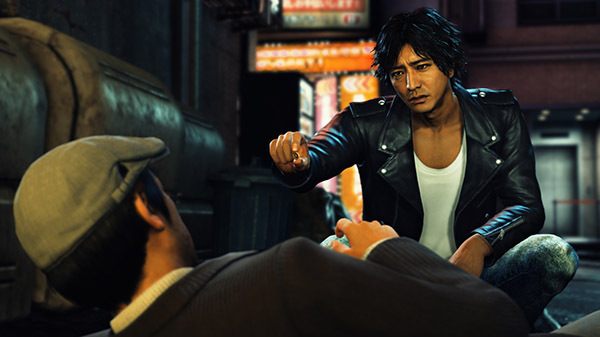 Speaking during the latest Sega Nama broadcast, Sega chief creative officer Toshihiro Nagoshi said there are no plans for Judgment 2 or 3 despite reports saying they have been decided. Nagoshi also confirmed that Judgment sold-through about 97 percent of its stock and worldwide inventory is nearly gone. Nagoshi also spoke about the arrest of Pierre Taki, who plays the role of Kyohei Hamura in Judgment. Get the tidbits from Nagoshi below. I was surprised to hear Pierre Taki was arrested. After that we started discussing how to deal with the problem. We decided to halt the game’s sales fairly quickly. There is no correct way to deal with the situation. In the end, I also cast my vote for halting sales. Some thought and pointed out “This is going too far” and “It’s unrelated to the game itself,” and I don’t think those opinions are unreasonable either—I can see it from both sides. So when it comes to why I voted for halting sales, it’s because it was just after release. If it was an older game released a considerable amount of time ago, our priorities may have been different, but when it was something that had been released only several months prior, I think it’s a different conversation. Regarding the incident, there were both messages of support and comments like, “Serves you right,” but to speak against that, just because you use a celebrity, it doesn’t mean that these kinds of situations are easy to get into at all. Even if our own staff crosses a dangerous bridge, these kinds of things could happen—it is not just celebrities. If you do something bad, you have to take responsibility. Sell-through was about 97 percent. Worldwide inventory is nearly gone. If there is a sequel, Hamura won’t appear in it at all. (Co-host Ayana Tsubaki: “Will you change the character or something?”). Regarding that, I think there’d be various ways to approach it.